Favorite Zombie Movies: All of them. Tub wrote: This was a FANTASTIC summarization! It's EXACTLY what I've been looking for. This article is actually what urged me to finally make an account here. I've been checking in to the forum for about 8 years or so, but never 'dove' into another forum. Further, it's nudged me into poking around to get a the proper certification. I avoided HAM because I thought it too expensive to get up and running. I figured the hand helds didn't have enough reach to bother. My ignorance left me in the dark when it came to the power those handy lil devils had. So, opted for CB. But, if I can get properly certified, and snag a hand held that kicks out 50 miles (which I still find hard to believe) for reasonable prices, that's a game changer! Now the daunting task of being 'dumb' to the radio world and digging up dirt on what's good, and what is a waste of money. I started looking around last night...but...in the early stages of this new avenue, I'm way over my head. I'mma keep at it tho. Thanks again for the "HAM for Dummies" article. Super helpful! Repeaters work wonders. I just got my tech test finished yesterday and got my little handheld Baofeng BF-F8 in the mail today today. Programmed in my local repeater, up on a little mole hill the folks here in west Texas call a mountain, and just listened in(don't have my call sign assigned yet so I can't transmit just yet) and I was hearing a guy in a town 63 miles northwest talking to a guy in a town 35 miles west while sitting in front of my computer in my living room. A lot of people trash talk the Baofengs because they are Chinese made and inexpensive, but IMHO you can't go wrong getting your first ham radio for less than $50 (the UV5r is basically the same one I have but can be had on amazon for like $37) and getting a chance to get some on air experience and learn a thing or two before you start investing $100-$2000 on a radio and antenna setup. But that's my $0.02. Now on to business. Did the ZS network ever get put together? I see people still posting their info but I haven't seen anything official as far as mapping of an Net Coordinators or official ZS network info. Last edited by zenshu on Mon Sep 08, 2014 9:46 am, edited 1 time in total. Your particular interest: Local and long distance radio. Your equipment situation: Yaesu VX-7R, FT-857D, TYT-UVF1, BuddiPole and Walkabout antenna. Been a ham for sometime but never really active till now. The FT-857D is being setup as a backpack radio. Been a HAM for sometime but recently activated equipment. Looking forward to making contacts. Interests: Just getting on local repeaters, trying to talk to local hams but no luck yet. Currently have a tech license. My name is Mike and I just signed up. I am a Ham radio operator located in SW Michigan. Your equipment situation= I have a Kenwood TS-520 HF rig (10-15-20-40-80 meters) 100 watts, a RS HTX-10 10 meter 25 watt radio, a Alinco DR-140 VHF 2 meter mobile radio 50 watt, a Yaesu FT-60 Handheld VHF/UHF and a Yaesu FT-250 VHF Handheld both at 3/5 watts. I have a Solarcon-A99 vertical antenna trimmed for 10 meters @ 16' AGL, a home made inverted V dipole 135' long with the feedpoint @ 24' AGL and a Ed Fong 144/440 UHF/VHF @ 16' AGL. My VHF mobile is used as a base station and can reach repeaters 30/40 miles away. The Kenwood TS-520 is used mainly for long distance DX (overseas) but I have contacted many operators here in several states. My Yaesu FT-250 (2 meter) handheld can reach our local repeater about 13 miles away. I also use EchoLink on my I-pad to communicate with internet connected repeaters. Last edited by AlphaKilo47 on Tue Jun 02, 2015 3:28 pm, edited 1 time in total. Picked up a Baufeng UV-5R for $26 from Amazon, will upgrade equipment as I can. I plan to move up to either a better handheld or a vehicle mounted mobile (removable for backpack use... some of those things are pretty small themselves). Eventually, a modest stack in my shack (home office, that is) with a decent antenna. Certain other members of my marriage don't want the house to look like a metal porcupine, so I may go with a modest (even camouflaged) tree dipole or a ground plane antenna. 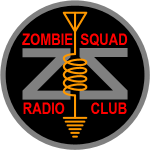 Also, have CB hardware (ol' truck driver) for local comms with either ZS or others as needed. Those licenses don't have a test, no fee, and can be used by the immediate family of the license holder. I would suggest that we hang on to CB as a valuable line of communication with other folks out and about, but perhaps use something like GMRS for those who don't have ham privs, and for those who'd like somewhat ham-like capabilities for their families and other local comms. To add to that, "hybrid" radios would have the GMRS as well as FRS frequencies, opening up another bunch of channels with other folks. ...added.... ft7900r in my car now. Last edited by velojym on Mon Jul 13, 2015 7:32 am, edited 2 times in total. I am a extra class HAM. 55 foot tower, with multiple antennas and rotor. A note or a reminder, Check with ARRL website, Field day is 27 - 28 June and can be near you. Good time to check it out. Particular interest: Local and long distance radio. Equipment situation: Leixen VV-898 Backpack, Baofeng BF-F9 v2+, Baofeng UV-82, ICOM IC-T2h, & CB's in vehicles. New to ham, but getting set-up.